For an unforgettable experience let us take the stress out of planning your special day. 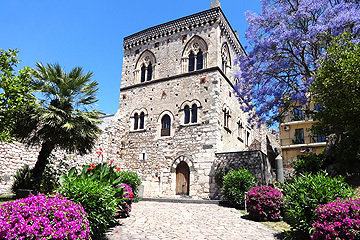 With breathtaking scenery, great food and charming hospitality Sicily is the perfect location for a romantic wedding and a memorable honeymoon. You may wish to have a romantic elopement with two local witnesses, or choose an informal low‐key wedding with just a few close friends, alternatively you might like to invite lots of family and friends to share your day with a memorable reception at a local panoramic hotel or restaurant venue which we will be delighted to arrange for you. Sicily has an abundance of romantic islands and resorts from the tiny idyllic Aeolian island of Panarea to the picturesque hill‐top resort of Taormina with its stunning back‐drop of Mount Etna. To help guide you in choosing your perfect honeymoon spot our expert team have first‐hand knowledge of all our properties and locations and will be delighted to offer assistance and advice. We are pleased to offer discounted rates on all our hotels and apartments for you and your guests. Please ask us for details. Taormina has been chosen by us as our top wedding venue for its stunning location and glamorous life‐style and together with our experienced resident wedding co‐ordinator, no matter how large or small, we will tailor‐make your wedding to suit your own individual requirements arranging as much or as little of your special day as you wish. There are certain compulsory elements which have been included in our wedding fee listed below. 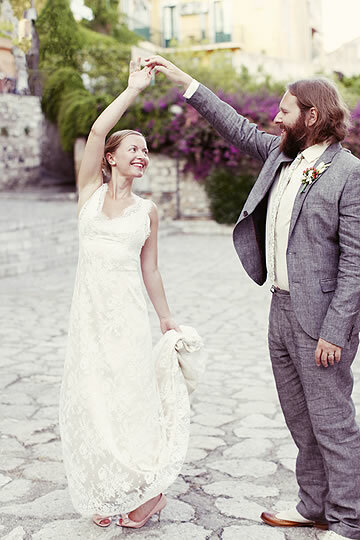 We ask you please to note that your documents will be required at least 2‐3 months prior to your wedding, and as there are only two weddings performed each day in Taormina (one in the morning and one in the afternoon) early booking is strongly recommended to avoid disappointment. For further information and bookings please contact our reservations team.